Remember that changing your network password will require you to re-enter your new password for email from your phone, home PC or laptop with Outlook. Apple, Blackberry, Android, Windows Mobile. Changing your password on your PC in the office. 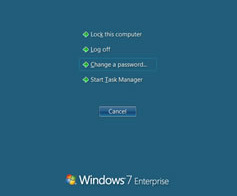 Input the desired new password into the New Password text box and type it again into the Confirm New Password text box. There are times when you need to change the domain password, that could be when you are traveling or when working remotely. Within the network there are many ways to change the password, but from outside the network the options are limited. 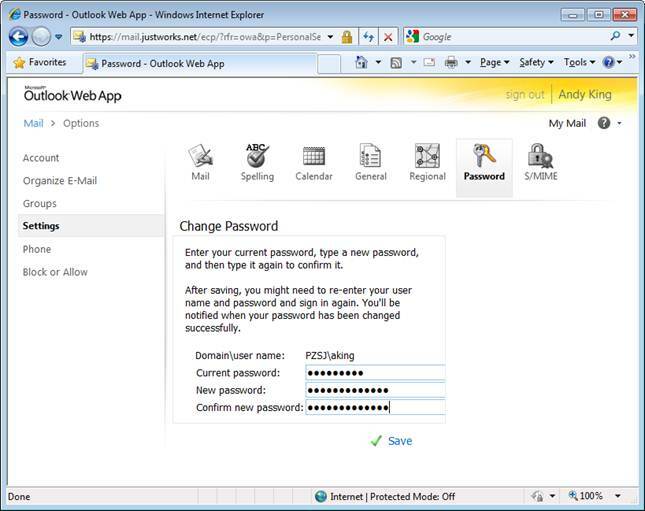 Outlook Web Access offers an option to change the password through the web. To change your password within your Outlook Web Access page, click on Options on the upper right (or left side panel for older versions), then Settings on the left and Password icon in the ribbon. You will be asked for your current password and then your new password twice. Click the Save button and that will change your network/domain/email password.